Originally posted at G4@Syfygames, 5/6/2015. Problem is, things that are old and great never lose what’s great about them, but they need to evolve if they want to come back. For instance, Mega Man 10 was a huge indicator of this principle — Mega Man 9 was a retro revival, and it was great for what it was, but Mega Man 10 doubled down on that and kind of lost the point. We got a taste of where that franchise was from, and it was sweet nostalgia. But we didn’t get a sense of where it was going on the very next sequel, which happened to be the first double-digit sequel in the franchise. And I bring up the Mega Man franchise for a really, really good reason here. I’m going to tell you here and now what I hope for in a Mega Man game released in modern times. I’m going to tell you all about how I think the series should evolve, even for this one title. I’m going to explore how to make a comeback. Mega Man was born as an action title that really revolutionized the run ‘n gun genre when it first hit NES / Famicom systems back in 1987. Throughout the series, the games evolved by small measures, each sequel adding something more to the mix. Mega Man 2 had useable tools to help traverse harsh terrain. Mega Man 3 placed those tools into your cainine sidekick Rush, as well as giving you a slide maneuver to fit into tight gaps. 4 gave you a charge shot, as well as the ability to reenter stages you had previously beaten. 5 gave you an unlockable bird buddy who would search and destroy. In Mega Man 6, the biggest changes were in how stages were designed with mutiple paths. I could go on for a while about how the series evolved in ways large and small. But the point of this story is not a laundry list of incremental changes, it’s the fact that the mainline series kept cranking out sequels with very little in the way of innovation. 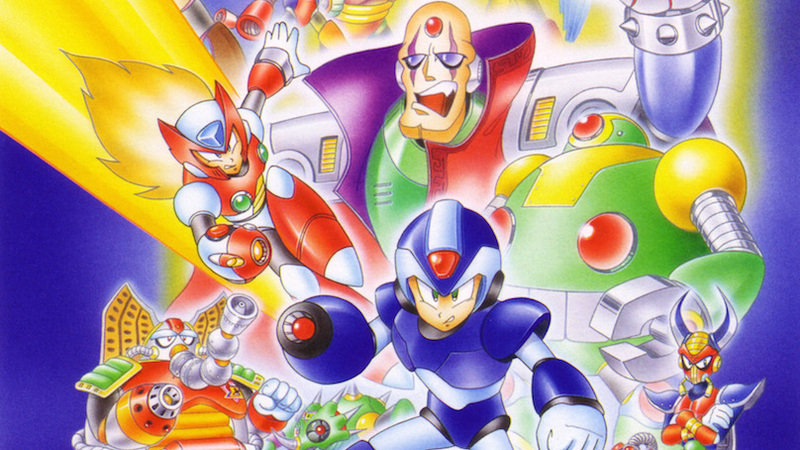 The Mega Man X series added a lot of hidden secrets, upgrades and alternate routes, but still stuck to the same basic formula — it just did so in a very slick and fashionable way, at least for the first few outings. The Mega Man Legends series went for exploration, but that was aided due to the three-dimensional nature of the game. The Zero series went for a lot of different things (and did well at nearly all of them), but relegated itself as a franchise to handheld consoles, therefore limiting its appeal and reception. After the disappointing cancellation of the LittleBigPlanetLittleBigPlanetLittleBigPlanetLittleBigPlanetLittleBigPlanet-but-cooler Mega Man Universe and the even more niche PSP release of the stellar Mega Man Powered Up, the franchise went into full stall. Then, Mega Man 9 brought the Blue Bomber back in a retro revival in ways that were unprecedented, because Inti Creates basically remade Mega Man 2 in terms of gameplay conventions. Then, Mega Man 10 repeated itself. Since then, we’ve had a sneering jab in the form of a bad box art version in Street Fighter X Tekken, and a legitimate homage with his entry into Super Smash Bros. for Wii U and 3DS. We’ve seen nothing out of Capcom’s development houses for what may very well be their original flagship character. And that’s a shame. Time for a comeback, I say. Here’s how I would do it, and if anyone from Capcom is reading this, please take notes (and give me credit when the time comes to do it). First of all, the best thing to do is to take all of what made individual series so great and slam them together. Take the sidescrolling action of the original series, the “upgrades offer new paths through stages” feel of the X series and the “Metroidvania” feel of the ZX series (and to a lesser extent, the Zero series) and forge something new. Myself, I’ve always wanted to make a game that capped off the original Mega Man series, and used its story to directly bridge that part of the saga into the genesis of the X series. Secondly, keep it 2D. Both classic and X series are 2D games, so by all means, make it up-to-date and beautiful in all its HD glory, but keep the gameplay to two dimensions. Start the game off with an intro stage. Mega Man has recieved word that strange energy signatures are emanating from a place that seems pretty off-the-grid for something that is consuming and radiating so much power, and thus he is sent to investigate. As soon as he arrives, he is attacked and is forced to close the rest of the distance to the area on foot. Given the visual motif of the place, it’s pretty obvious that this is a massive compound constructed and maintained by none other than the nefarious Dr. Wily himself. Once you defeat a gatekeeper boss (naturally), Mega Man enters the complex’s main hall, which terminates in a room that has pathways to eight individual areas, each with their own function — energy, agriculture, cryo, manufacturing, etc. — and all with their own overseer robot, the area’s eponymous Robot Master. You select these stages by running down the hallways of the area in question, and you go about finding the Robot Master in a stage that’s designed to be less linear than the previous Mega Man games before it. You should see surfaces that look out of place, which will become important later. Face the Robot Master and win. Get the weapon. Same formula there, but add in the fact that these weapons will have environmental effects attached to them as well. Kill the fire boss? Take the fire weapon and melt ice, or burn down dried leaves in the forest stage. You may find new areas, new powerups, and even pathways between stages themselves. Essentially, make a Mega Man Metroid. 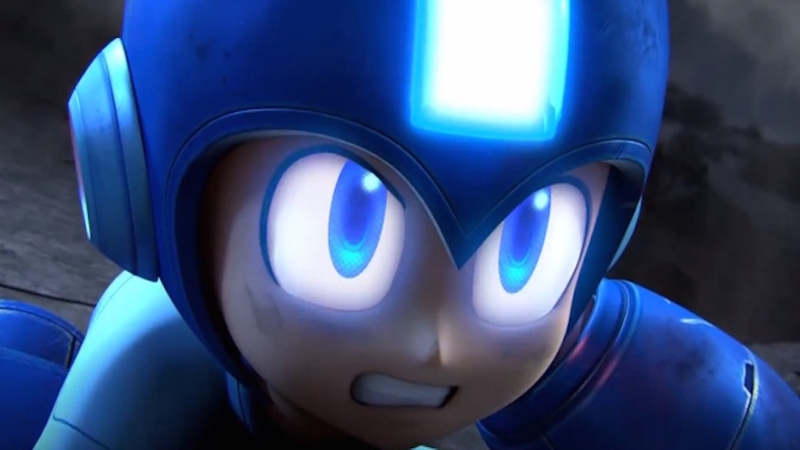 Focus not just on classic Mega Man mechanics — which will be required to play through the game — but expand on the world he’s fighting in, make it something larger and more focused on exploration. 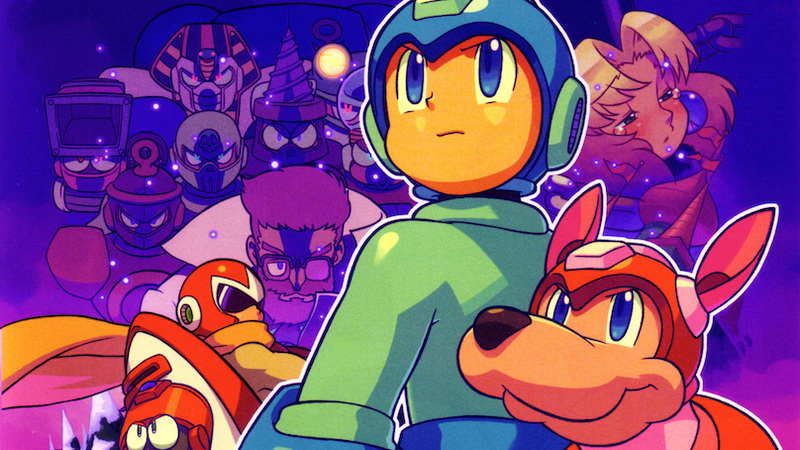 Once all eight Robot Masters are defeated, true to franchise form, the Wily stage opens up. But wait a minute – you’ve been at the Wily Compound the whole time! What else could you possibly open up? Instead, a central elevator appears, and the sprawling subterranean compound is revealed, being a massive stage twice as massive and challenging as the overworld you just spent all that time fighting through. Here, you will need every skill and every weapon in order to dig to the bottom, uncover the secret behind why you’re there, and finish the fight once and for all. Eventually, after digging through the maze and uncovering hidden powerups, modifications and supplies, you fight Dr. Wily. Once he’s been defeated, the skull UFO pod opens, revealing…nothing. A computer in the next room shows the final message logs of the madman you’ve spent your whole life chasing. Dr. Wily is dead, and has been for quite some time. This whole complex was left behind for two reasons – one, to be a robot preserve where machines could live in peace without human interference or intervention, and two, a deep underground testing lab where the final creation of Dr. Wily could be completed posthumously. After seeing why the compound existed, Mega Man has a severe crisis of conscience and begins to escape, wondering if he had committed a grave sin against his own kind. He has destroyed the peace that was actually achieved, and for once, it wasn’t at the expense of mankind or its safety. 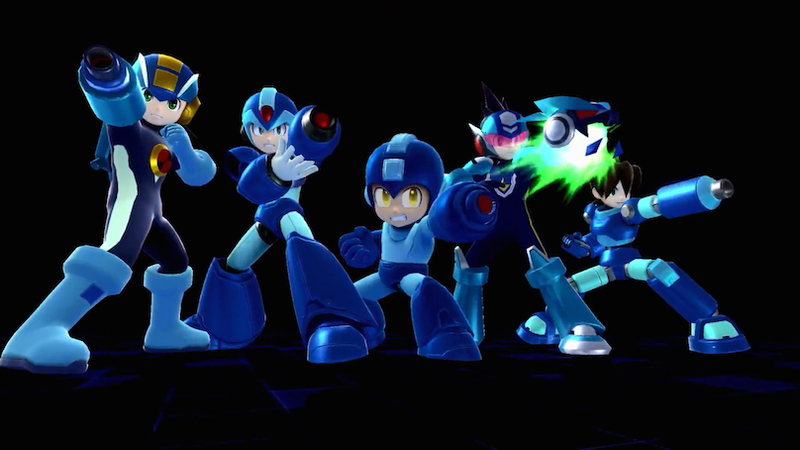 Wily did something right as the final act of his life, and Mega Man has been the one to ruin it. He frantically leaves the compound, unsure of his actions or his reasoning. But he is stopped from leaving the underground by a half-finished, half-armored robot prototype that will fight him to the death — in the end, Mega Man will be stripped of everything he’s earned, and will be left broken and destroyed by the prototype — a robot who will become known in the future as Zero. Rush will risk his own life to whisk Mega Man out of the way of the killing blow, and the incomplete Zero will not be able to give chase. Mega Man’s barely-functioning remains are taken back to Dr. Light, and those remains will be used — along with the data gathered from the fight — to begin construction of a robot to keep such an advanced model in check. Dr. Light knows his fate will mirror that of his colleague-turned-enemy. He knows that he will die before the project is completed, so he sets the construction in motion, completes what he can, and leaves the high-functioning logical diagnostics to the passage of time in a sealed chamber. Thus, this capsule is found many, many years later by Dr. Cain, and so begins Mega Man X. 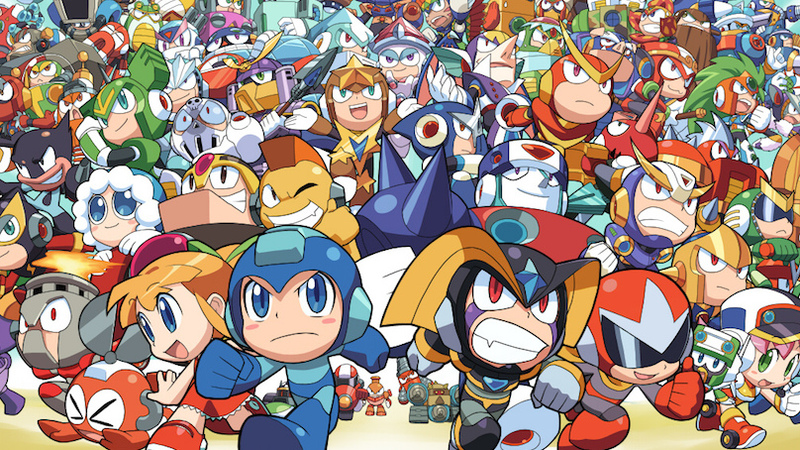 So, basically speaking, the franchise could experience a massive potential for reboot simply by bridging the gap between the classic Mega Man and Mega Man X series. Also, by instituting everything that previous games had done right and mixing that with new features that would complement that sort of gameplay, it could really serve not just as an evolution of that series, but a revolution of it as well. And that’s how you make a comeback, after all. You’ve got to bring back something classic in a brand new way, and you’ll do one of two things by succeeding at it: you’ll either create something brand new, or you’ll create something that will successfully fool people into thinking that it’s brand new. Either way, it’s pure profit, not just for Capcom but for all the fans of the franchise that wish to see a new adventure from their favorite blue-helmeted hero. Capcom, I’m waiting on my consultant job offer. You’ll never regret hiring me. I guarantee it.